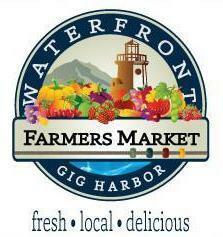 Visit the Market for locally grown produce, freshly caught seafood, farm-raised meat, and beautiful flower bouquets. Skansie Brothers Park, June through August, every Thursday, 3pm-7pm. Here are just some of the amazing vendors that will be at the Market on opening day: BG's Gourmet BBQ Sauce, Butterfusion, Chef Melinda's Home Made Crimson Cove Smoked Specialties, Fishgirl, Fox Island Trading Co., Hayton Farms, Purdy Organics, Bill Fold Family Farm, Smith Brothers Farms, RC Almonds, Steepers Artisan Teas, Europa Bistro, and the Harbor General Store & Cafe.